Victoire Fashion Agency (but feel free to call us Victoire) is a fashion and lifestyle consulting agency specialised in brand development, buying operations, retail activities and digital strategy for the luxury industry. Victoire is the brainchild of Magali Ginsburg & Alexandre Lavaux who decided it was time to set up their consulting agency in the spring of 2015. Since mid 2018, VFA has been entirely managed by Magali Ginsburg. After more than a decade working at the core of the industry for Lane Crawford, Printemps and Yoox Net-a-Porter and developing a strong global network, has developed an in depth experience and expertise across Men’s and Women’s Ready-to-Wear, Accessories, Jewellery, Beauty, Lifestyle, Art and Design. Why do we stand out? Because we truly love and understand fashion and have built the business tools and acumen to take our clients to the next level. Magali has a strong international background and 15 years of extensive experience in Buying, Strategy and Business Development. She worked for Lane Crawford in Hong Kong as Senior Womenswear Buyer and helped the development and growth of their business units. She moved to Paris and became Menswear DMM at the Printemps Group overseeing the commercial and buying strategies for all eighteen stores. 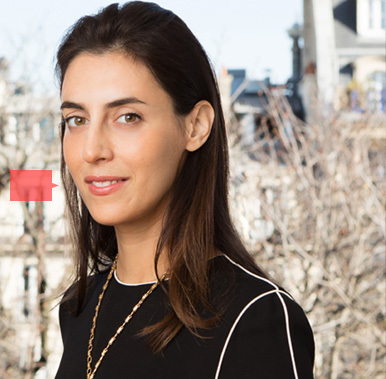 She then decided to move to the digital world at YOOX/Net a Porter Group taking on the role of the Head of Buying for the In-Season Business. Things I love: Xavier Dolan, Alaia, Bryan Ferry, Robert Rauschenberg and Victoire. Alexandre has developed his skills through many years of experience in the fashion, beauty and luxury industries. He started his career in Product Management for Giorgio Armani at L’Oréal Luxury Goods in Paris before moving on to the Printemps Group where he held the Menswear Buyer position. Having completed previously his thesis on the Online Luxury Business, it was all very natural to join YOOX Group in Milan in 2012 as DMM Menswear overseeing all menswear buying, as well as editorial and commercial activities for thecorner.com. Things I love: David Cronenberg, Raf Simons, Joy Division, Dan Colen and Victoire. that means we’ll always work as hard as we can to achieve your goals. that’s because we’ve experienced it from every perspective, at a multitude of levels. that means we can come up with big ideas – and actually make them happen. that’s because we have extensive international experience and have built a network of creative and talented individuals.